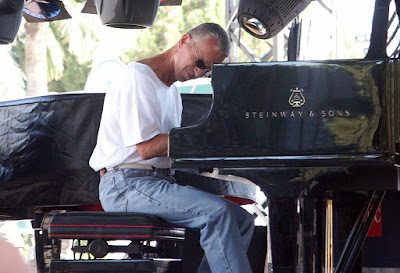 Keith Jarrett in Antibes in 2008. Keith Jarrett last played a solo concert in London in February 2013 (reviewed here). It was announced at the festival launch party last night that he will be playing the Royal Festival Hall on 20th November as part of the EFG London Jazz Festival, (incidentally the same night as the Dave Holland solo concert at Wigmore Hall), and that tickets will go on sale on Friday October 2nd at 10am on the Southbank Centre website.